Basseterre, St. Kitts, January 09, 2017 (SKNIS): During the New Year Celebration Service held by the Royal Saint Christopher and Nevis Police Force (RSCNPF) on January 09, 2017, Commissioner of Police, Ian Queely, called on the public to help crackdown on traffic and safety violations in the Federation. 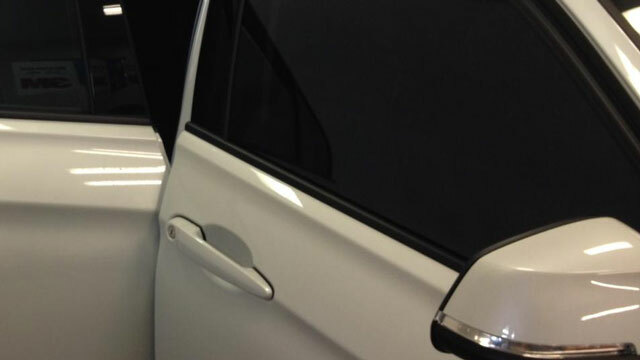 During the event held at the National Emergency Management Agency (NEMA) Conference Room, Commissioner Queely said that in November 2016 the High Command met with the managers and owners of rental companies and indicated to them that the law prohibits them to be using tints on their rented vehicles. Commissioner Queely said that what he is calling for is greater enforcement. “I’m calling on you (the public) for enforcement so that all the issues that were faced in 2016 with rented or tinted rented vehicles involved in criminal activities can be minimized,” said the commissioner. The commissioner said when a citizen sees a rented car that is tinted, they must immediately report it to the police. He said that there are other vehicles that are so darkly tinted that the interior cannot be seen from the exterior as is required by law. He mentioned the bus drivers that obstruct traffic when they stop in various locations. “These are the little things that I want us to start getting in line because if the society starts to conform with the rules I believe we will see improvement in other things,” said Commissioner Queely.